Oh, I like this! Love lighthouse! Thanks, I do too. I think my mission for the next few years will be to photograph all the lighthouses on Michigan’s shores. I have already taken quite a few but there are about 115. This is such a lovely lighthouse and a very peaceful image, Pat. 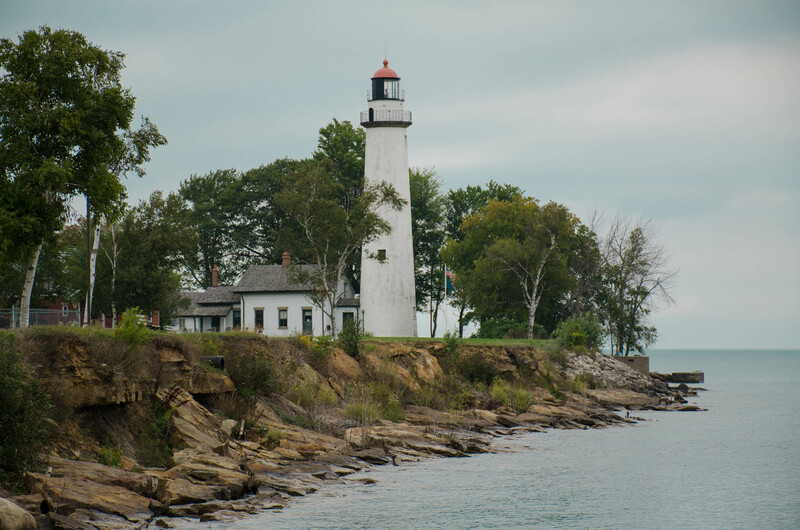 Michigan has some quaint and lovely lighthouses – this is certainly one of them. It reminds me of the one that stands on a bluff in Eagle Harbor, MI. I will have to look for it, Barb. Light houses have played a prominent part in my summer. My lady and I spent over 3 weeks in Newfoundland this past summer. Being from the west coast, light houses were a big part of her life. They are all different; and we saw a lot of them! Sadly, many are no longer manned, but computer operated. The romance and adventure somehow is not the same. Nevertheless, a wild and beautiful island. Love the setting for this one. Happy and safe travels.